The Chief Executive Officer of Bosak Microfinance Bank Limited is attending the 18th Microcredit Summit in Abu Dhabi, in the United Arab Emirates (UAE) from 14 – 17 March. The Microcredit Summit brings together microfinance practitioners and associated stakeholders and highlights the benefit of delivering financial services to consumers and businesses. Such developments lead to well-understood social gains, as well as financial empowerment. This year’s summit is organised by the Khalifa Fund for Enterprise Development, the Arab Gulf Programme for Development (AGFUND) and the Microcredit Summit Campaign. The 18th summit will also cover potential financial strategies to promote inclusive, sustainable economic growth and social empowerment. 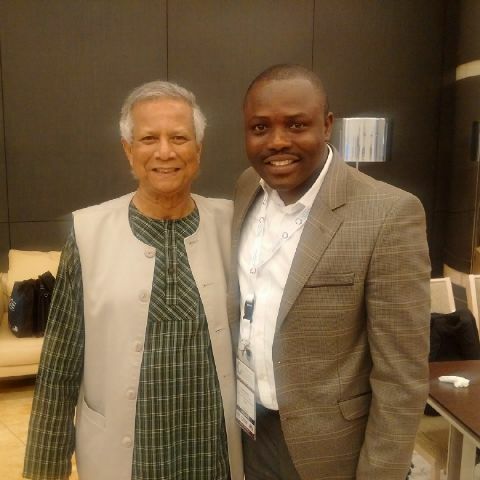 ‎Along with Prof. Muhammad Yunus (Chairman – Yunus Foundation, Bangladesh) Larry Reed (Director, Microcredit Summit Campaign) and Queen Sofia of Spain, many Microfinance front liners will seek ways to reach communities which historically have been financially underserved, as well as to outline the commercial and social opportunity for microfinance providers.